SUPERAntiSpyware Pro is an advanced security application that detects and removes Spyware, Malware, Rootkits, Trojans, Hijackers, and other malicious threats for Windows' users. The product performs a comprehensive scan of hard drives, memory and registry items with 4 different scanning options (Critical Point, Quick, Full and Custom). 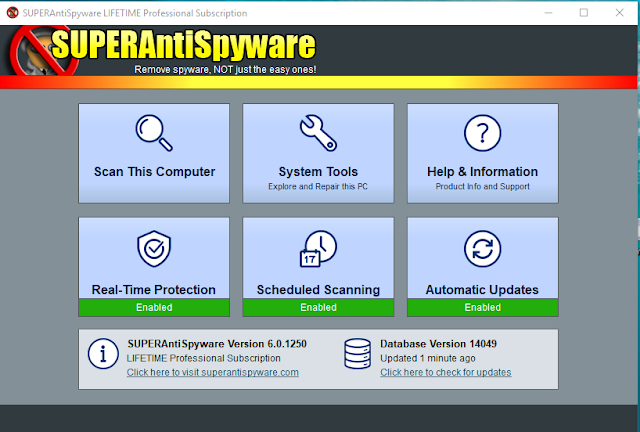 Enhanced Real-time protection monitors the hard drive, memory, and registry in real-time to block malware execution and provides instant notification of malicious program activity. 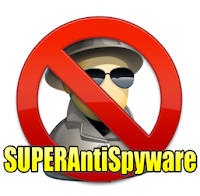 Enjoy SUPERAntiSpyware; Buy It !